This post is sponsored by Isentia. Wouldn’t it be great if you could quickly pull together a responsive and easily shareable report with all the media coverage that matters most to you? Or let analytics provide you with actionable insights and access a comprehensive library of clips in one simple view? Isentia Mediaportal Recharge is a powerful one-stop media news platform for immediate useable analytics and industry-ready insights. It is simple to use, flexible and designed with users in mind. 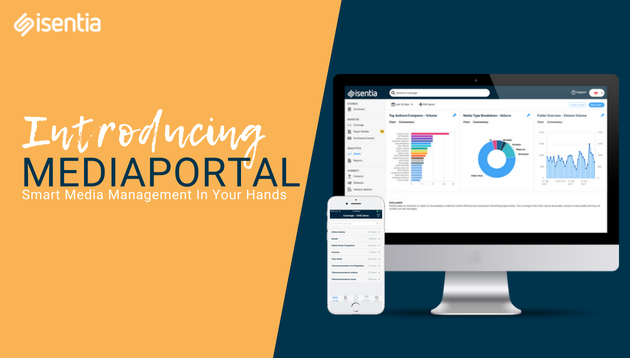 This SaaS-based platform will provide organisations with improved media monitoring, media analysis and data-driven insights, empowering communications professionals to view coverage, produce meaningful reports and analyse media and developing stories all on the one platform, quickly and efficiently. Rich media items such as online video and audio are also captured, adding additional content sources to the Mediaportal platform. Isentia has also enhanced Mediaportal’s crawler cycle frequency, with about a million items per day processed across nine languages. “Every day, Mediaportal captures and sorts news from thousands of print media, hundreds of television and radio channels to millions of online media articles and posts over social media. These items are then processed through the system and presented in a concise manner through our mobile apps,” said David Liu, chief executive of Isentia Asia. Mediaportal is set to give your team a competitive advantage by making smarter and more informed business decisions. Looking for serious data intelligence or smart media management? Request a demo today.